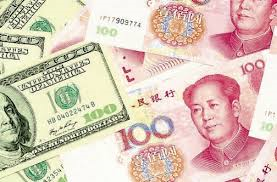 Within the next ten years the world community should expect China’s yuan (also called renminbi) to be as widely used as the United States dollar. For almost a decade now the Chinese currency has been popular with neighbouring countries which, along with China, are among the fastest growing economies. Now, the yuan is becoming popular with Western countries too, as their trade with China increases and they target the Chinese market for investment and tourism. The number of Chinese tourists to global destinations is also growing every year, though not so for the Caribbean. The number of Chinese tourists to Caribbean countries is too miniscule for statisticians to record. Indeed, the only two cities in Latin America and the Caribbean that managed getting the statisticians’ attention for 2013 were Sao Paulo and Rio de Janiero in Brazil, but they were low down in the list of destinations. Topping the list were nearby countries such as Indonesia, South Korea and Japan. New York was the sixth most popular destination although the number of tourists (646,000) paled in comparison to nearby countries such as South Korea (4.3 million). There is no stopping the rise of the yuan and its importance as a global currency. China's overall GDP growth rate for 2014 slowed to 7.4% -- its slowest in 24 years, but impressive enough for it to be envied by the majority of the world’s nations. The Chinese government is calling its present economic circumstances “the new normal”. In January, the Central Bank eased restrictions on the amount of reserves of commercial banks. Six hundred billion yuan (US$96 billion) or more held in reserve at Chinese banks were released with the expectation that two to three trillion yuan will be injected into the economy to stimulate growth. A significant sum of that money is also earmarked for increased investment in the productive sector of other countries, particularly in Europe and North America, in anticipation of huge returns.